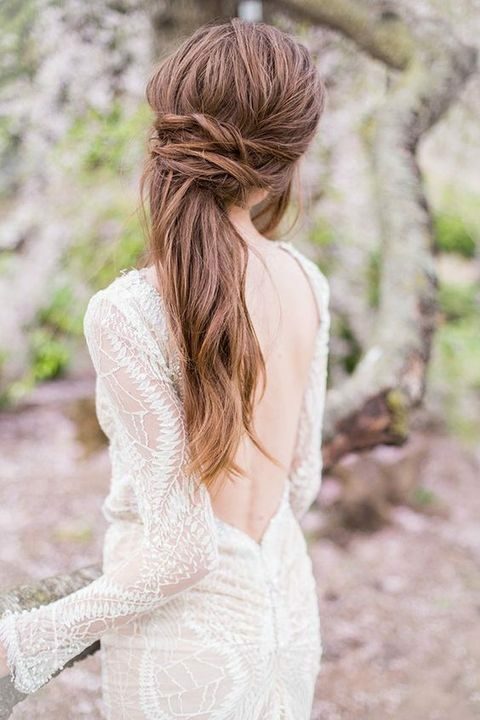 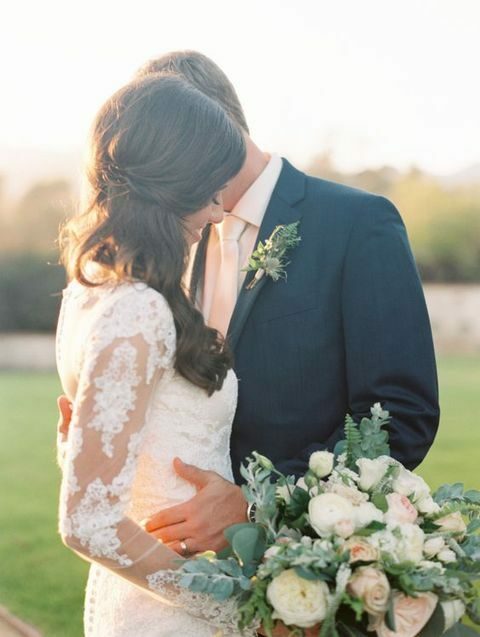 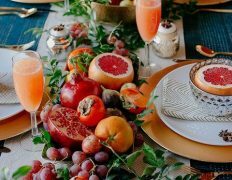 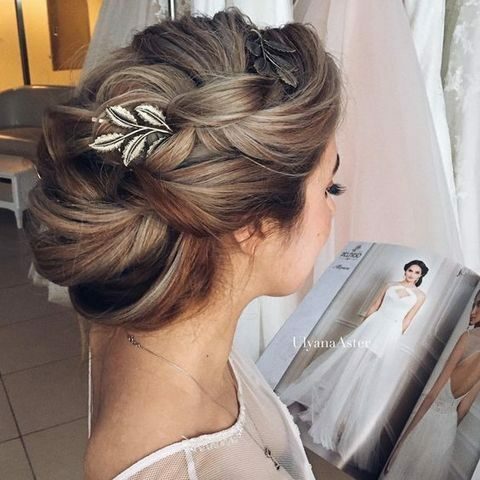 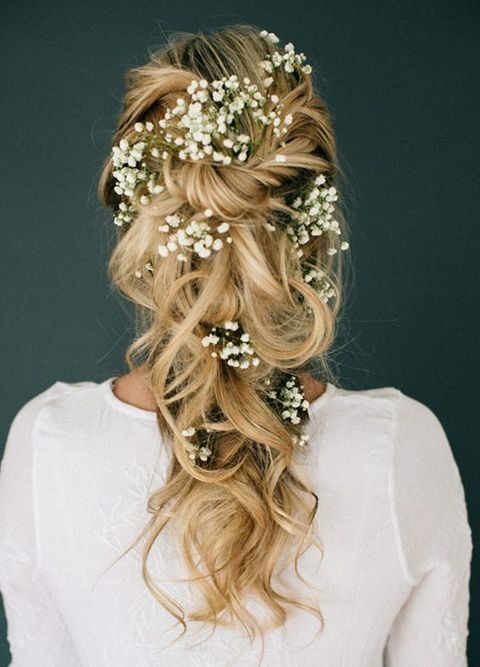 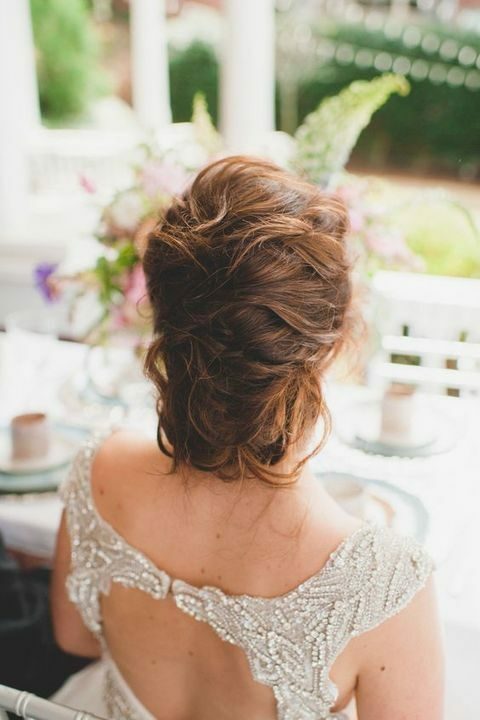 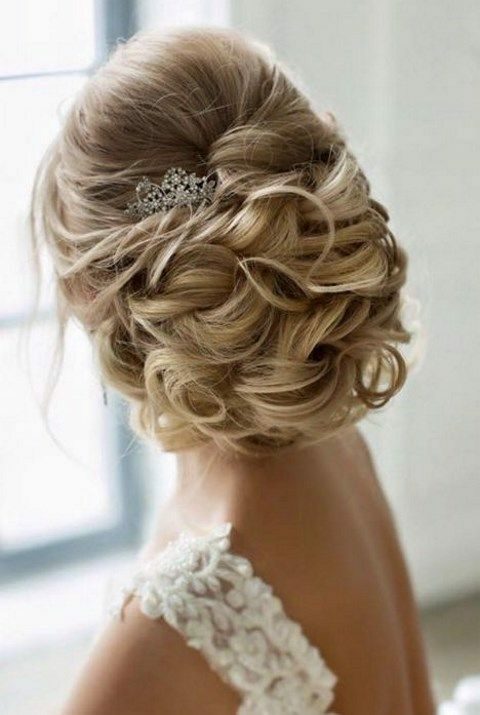 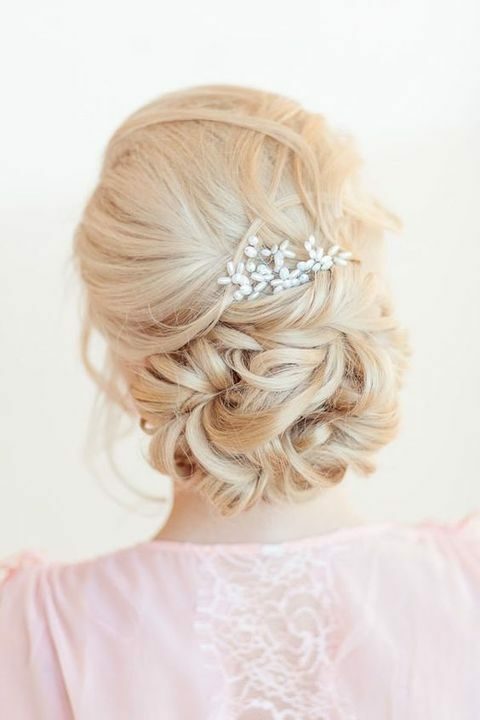 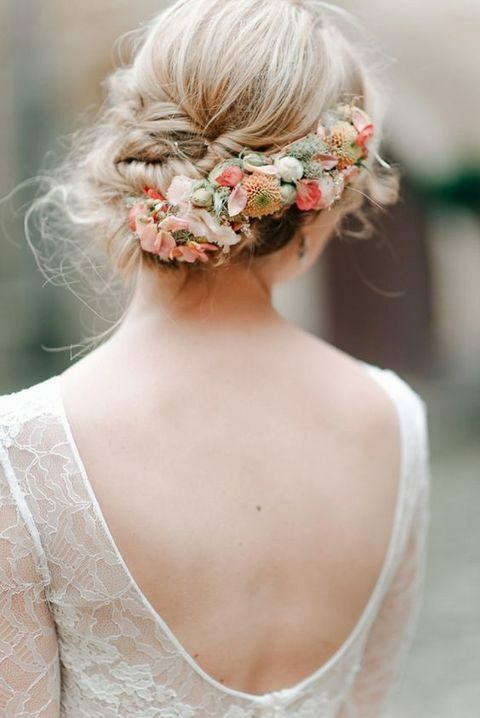 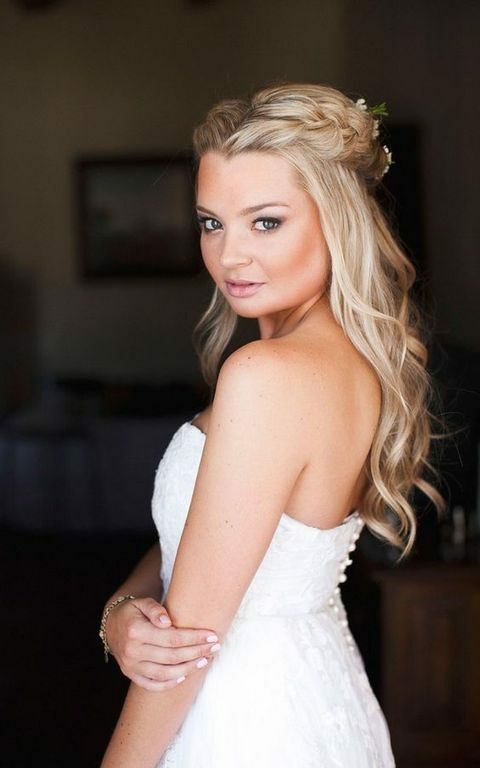 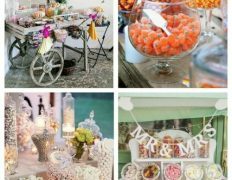 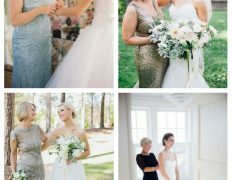 Couples that are getting married in the spring are already preparing for the weddings, and today I’d like to inspire spring brides with gorgeous hairstyles. 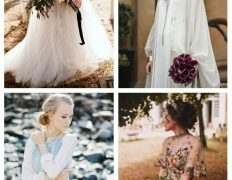 Girls, I have good news for you! 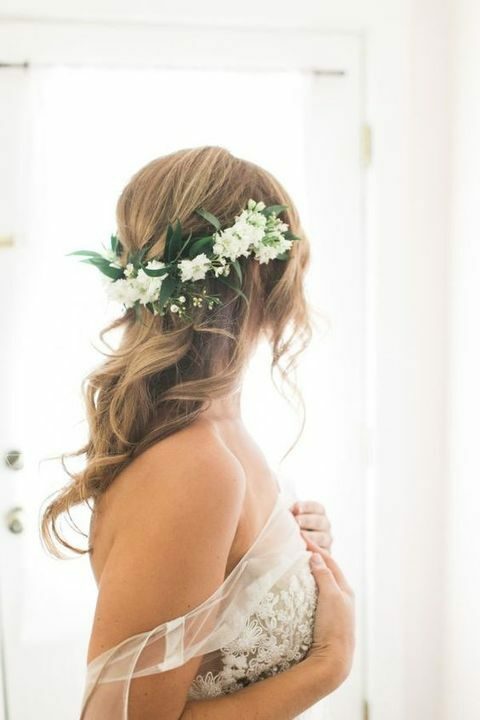 Spring is exactly the season when you don’t need to keep weather in mind: there no storms, no snow or rain (mostly) and the wind isn’t that cold. 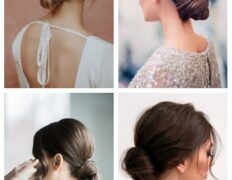 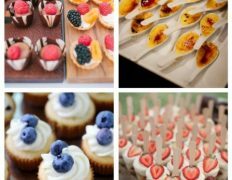 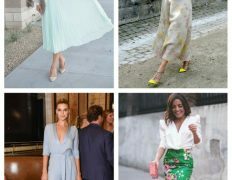 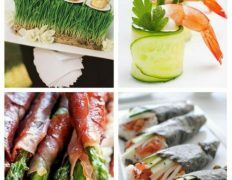 That’s why in this roundup I’m not sharing any special care and hairstyle tips – you can rock whatever you like and you’ll look picture-perfect all day long! 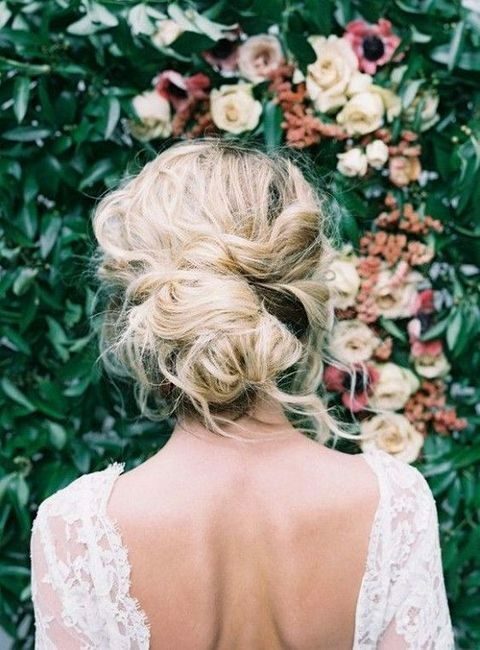 Half updos and loose hair that could be damaged in winter are welcome in the spring. 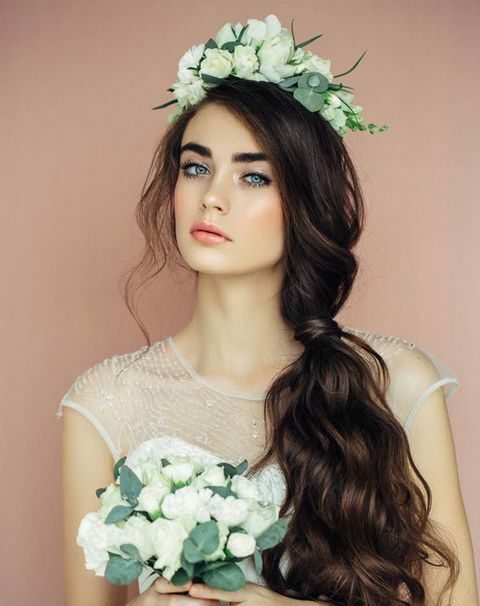 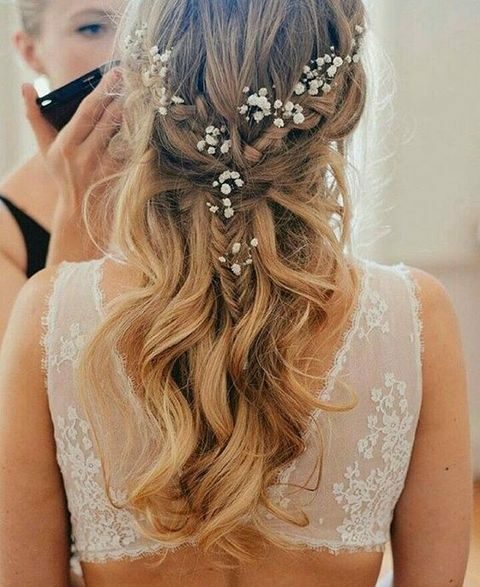 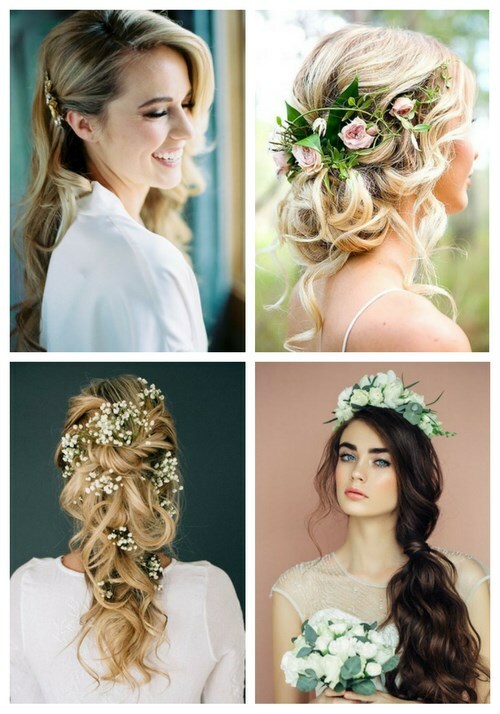 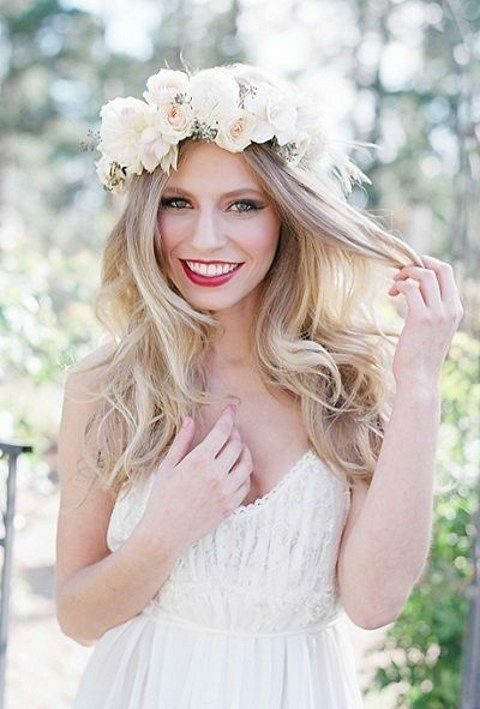 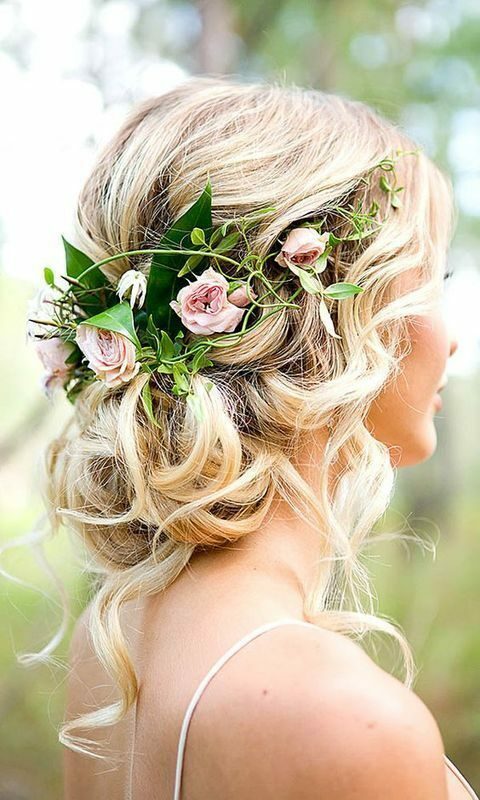 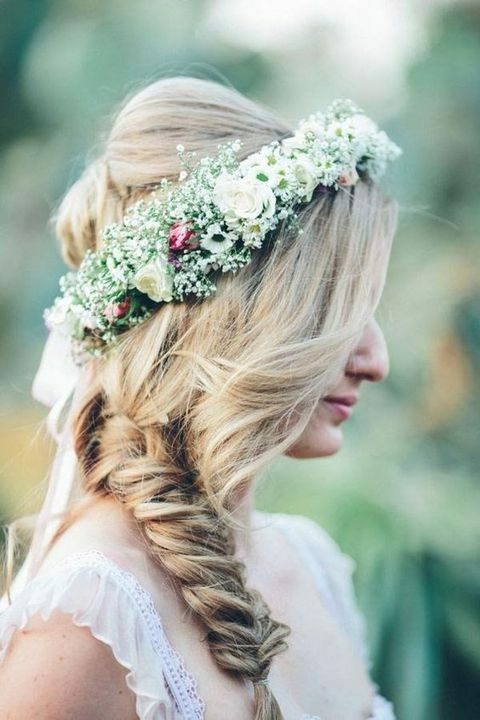 Such hairstyles look very romantic, spring-like and fresh, and long loose wavy hair with a lush floral crown is classics for any time and any wedding theme. 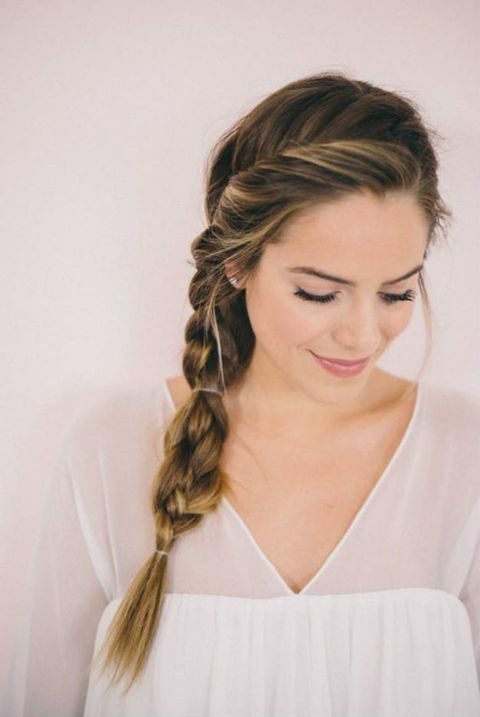 Half up half down hairstyles look stylish and are comfier because you won’t get hair on your eyes. 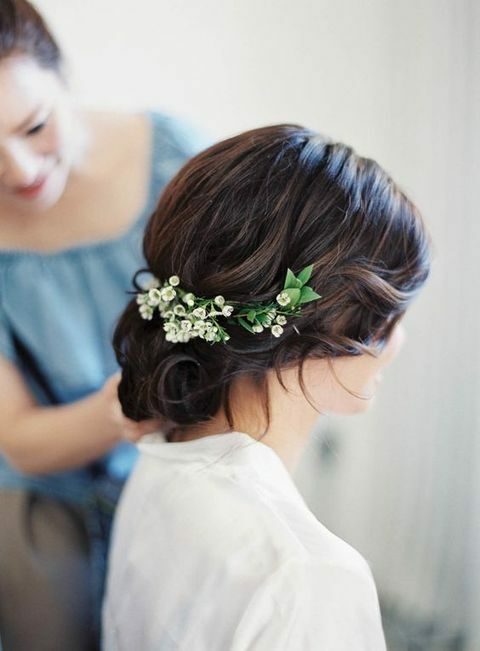 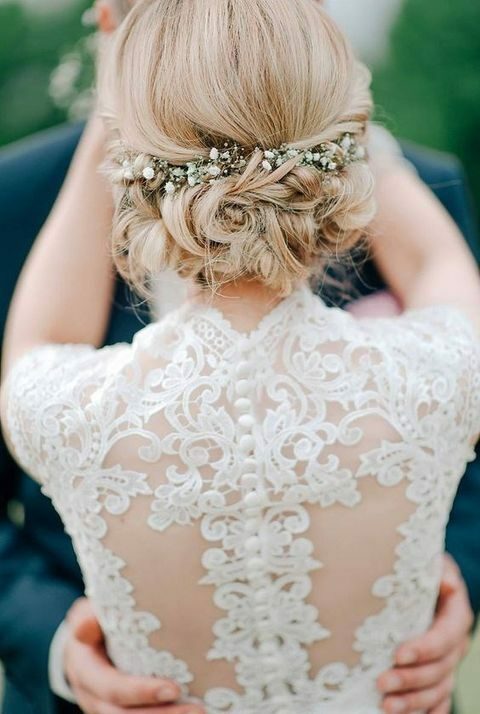 You can add beaded headpieces or fresh flowers to your hair. 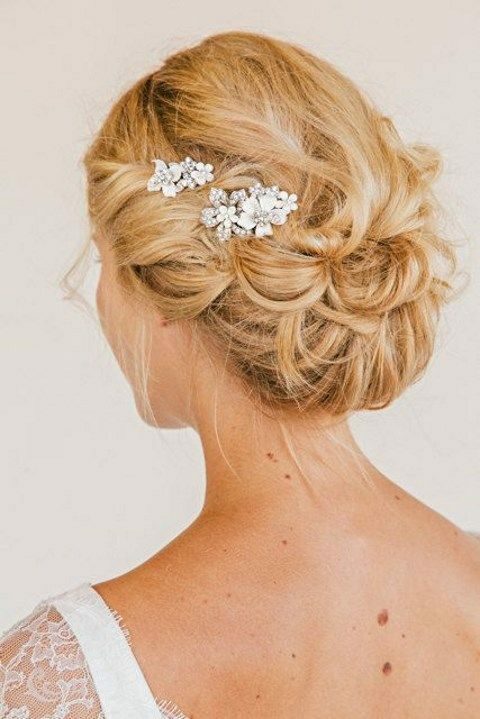 An updo is always a win-win idea because it’s timeless, feminine and stylish, and it’s a guarantee that your hair will be long-lasting. 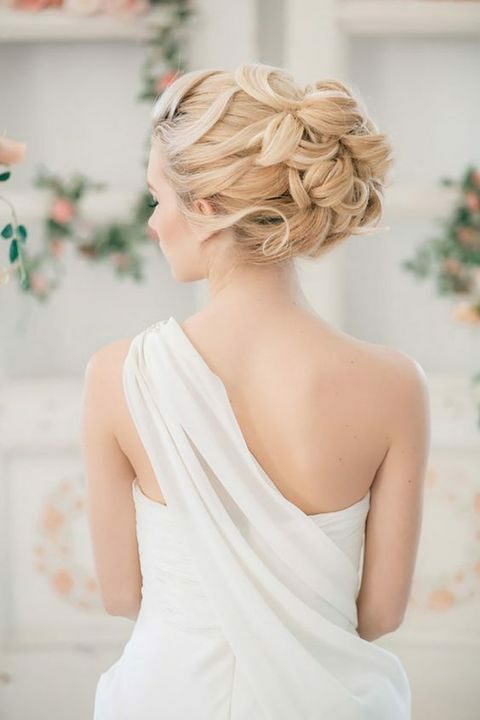 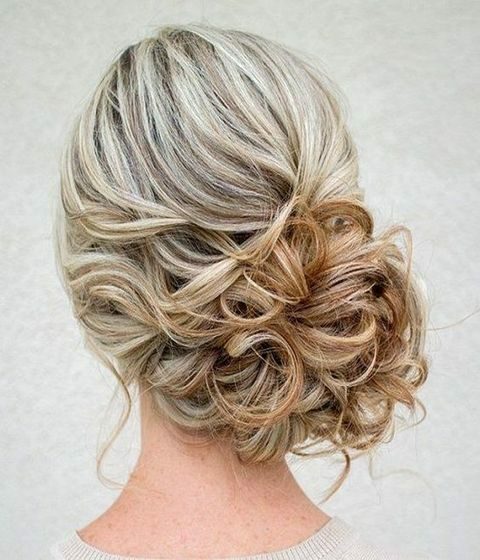 Braided or twisted, messy or tight – whatever updo you choose, you will be picture-perfect. 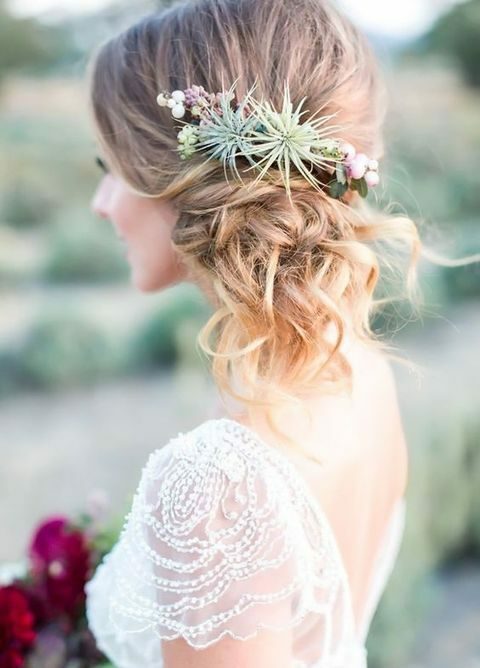 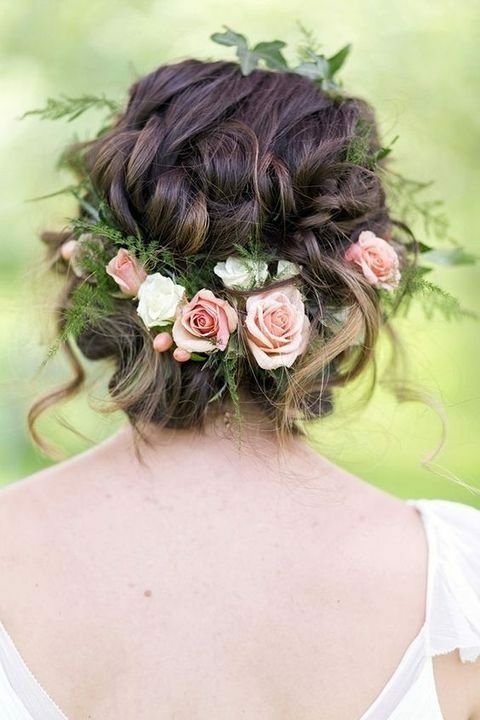 Updos can be highlighted with fresh flowers tucked right into your hair or with some creative beaded hairpins. 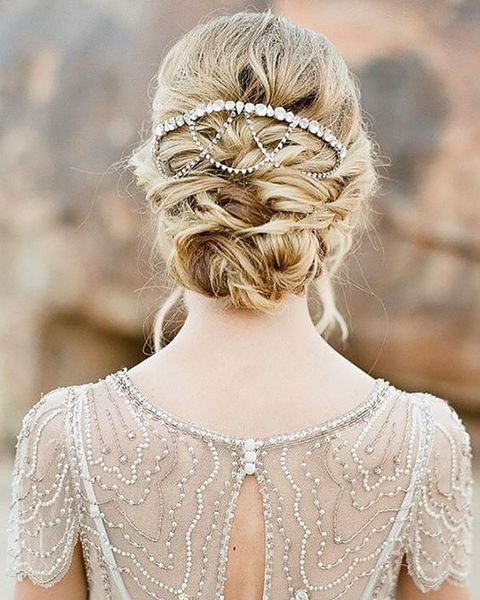 Braids will never go out of style, and ponytails either. 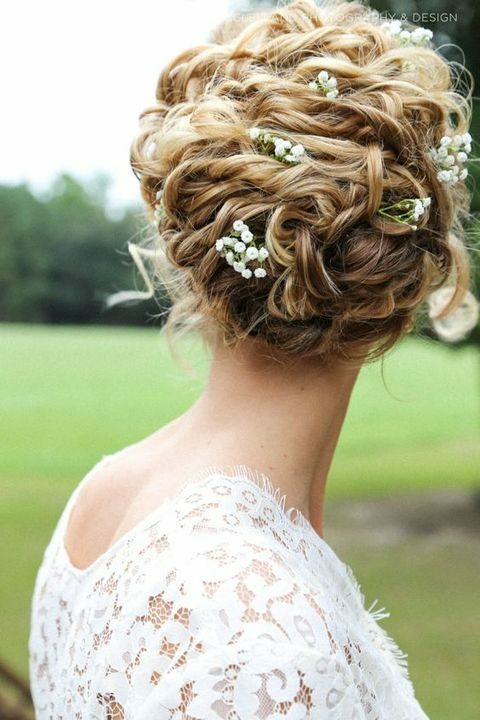 A low messy ponytail or a loose braid with flowers tucked in it looks very spring-like.